LOS ANGELES, April 7, 2014 – To support our troops as they face the difficult task of establishing civilian career paths, the National Notary Association (NNA) is offering complimentary Notary training to veterans during the NNA 2014 Conference on Monday, June 2, 2014 in Phoenix, Arizona. The complimentary Notary training — fully funded by the NNA’s philanthropic arm, the National Notary Foundation (NNF) — is being offered to further the NNA’s commitment to help military veterans return to civilian life. Veterans face unique career challenges as they transition out of active duty, which is underscored by the fact that half of the military veteran population is currently out of work. Veterans will have complimentary access toa variety of workshops that demonstrate how serving the country as a Notary Public is an important role for consumer protection. Training includes Notary basics, preventing financial exploitation of the elderly, current trends for electronic notarizations and Notary Signing Agent training for mortgage loan signings. In addition to educational workshops, veterans will have the opportunity to build business relationships at exclusive networking events. The full conference agenda is available at NationalNotary.org/Conference. By becoming a Notary Public, or by improving their Notary skills, veterans will gain valuable vocational training for their resume as they apply for work in corporate America. Notaries serve an essential consumer protection role in many industries, including real estate finance, healthcare, and the legal profession to name a few.Veterans with an entrepreneurial spirit can also become small business owners as a mobile Notary or a full-time Notary Signing Agent. 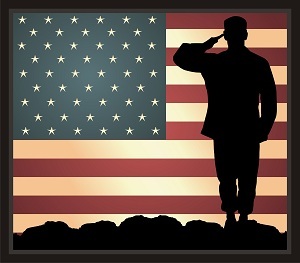 Seating is limited so Veterans are encouraged to register early through the NNA 2014 Conference website, directly through etouches.com/NNA2014 or email questions about the program to our customer service team at Veterans@NationalNotary.org.